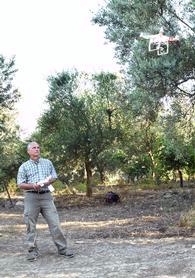 John has worked in Israel, Greece, Turkey, Italy, and Albania in all aspects of archaeological fieldwork. Following his interest in spatial analysis, and in order to make sense of it all, he turned to computers. Within the department, he helps students and faculty to simplify their work and increase their productivity with the creative application of computing tools and technology. He also creates and maintains databases for several of the department's field research projects. He currently is mostly involved in the publication process, managing the BASP and Keos publication schedules. BA, University of Maryland, Baltimore, MD, 1993 (Ancient Studies). 2007-, Senior Research Associate, University of Cincinnati, Cincinnati, OH.